FALL RIVER — Joining with their counterparts nationwide, Catholic schools in the Fall River Diocese will observe Catholic Schools Week from January 27 through February 2 with Masses, open houses and a variety of special programs and activities. Catholic Schools Week is designed to highlight the value of a Catholic education to young people as well as its contributions to the Church and wider community; it is celebrated across the country annually beginning on the last Sunday in January. It is also the time when most Catholic schools host open houses and open registration for the following academic year. Parents who are interested in enrolling a child in a Catholic school in the Fall River Diocese or learning more about one should contact the school of interest for information or visit www.CatholicSchoolsAlliance.org. 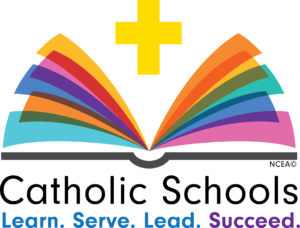 Specific Catholic Schools Week schedules vary from school to school but often feature academic and athletic challenges; music and arts festivals; guest speakers; special opportunities for prayer; activities to support charities and outreach to those in need; appreciation events; and student socials. In the January 25th issue of “The Anchor,” Fall River Diocesan Central Catholic Schools Board Chairman Roger Sullivan and Diocesan Superintendent of Schools Stephen A. Perla provide an update on major renewal initiatives now underway in Catholic Schools resulting in new opportunities for students and teachers. Read the story here.